I can remember when chocolate chip cookies became the 'in-thing' (well at least in Australia) it would have been in about 1978 when Kellogg corn flakes put a recipe on the side of their cereal packet for Choccy Rocks.....all of a sudden they were everywhere - move over jam drops! David those look so buttery and delicious! And I love the Carmel color cake stand! @Phil, that is such interesting insight! I love it. 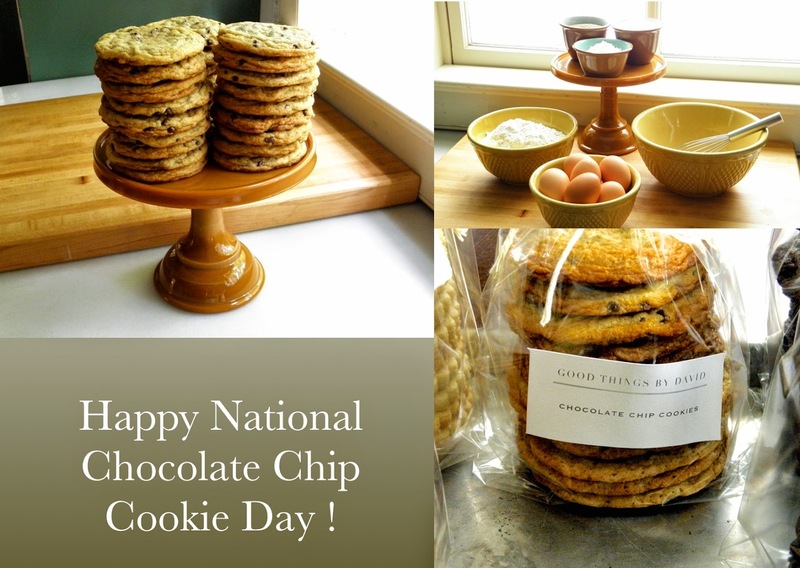 Yes, it's amazing to think that chocolate chip cookies are a 20th century invention. I can't imagine having to do without them. I vote bring back MBM. So many things I wish I had bought. And to think I threw all those MBMcatalogs away. Ahhhh!!! Who knew? Thanks David for the yummy recipe too!